Ever since Einstein’s theory of relativity first predicted them, black holes have captured the imagination of the public and scientists alike. “Black holes are one of those things where the public fascination and the scientific fascination completely align,” said Daniel Holz, an astrophysicist at the University of Chicago and part of the LIGO team that in 2016 first detected gravitational waves from the collision of two black holes. “From a scientific perspective they are also incredibly extreme. The equations are very clean. You end up with this solution. But the solution is so crazy – the idea that there are black holes – that even Einstein said they are probably not real,” said Holz. The supermassive black hole that astronomers imaged is at the heart of the Messier 87 galaxy some 55 million light years away and is six billion times more massive than our sun. 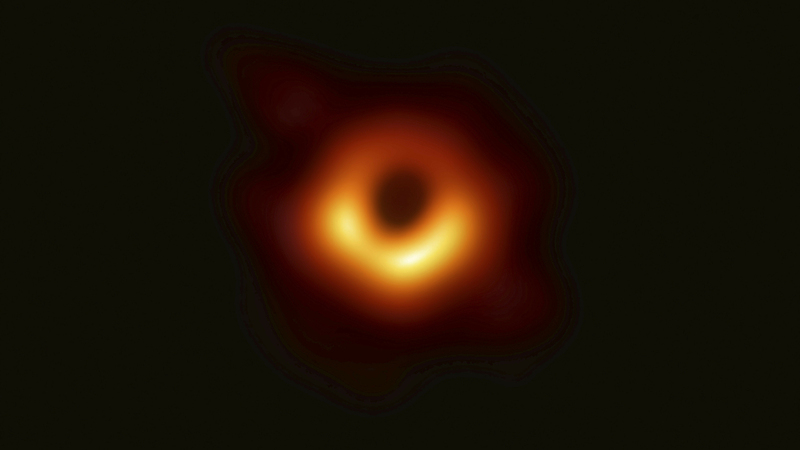 The image was captured by using a network of eight radio telescopes from across the globe that together formed the Event Horizon Telescope (EHT). Linking the eight observatories created an effective telescope the size of the Earth and gave astronomers the resolution they needed to be able to picture the black hole. John Carlstrom, also an astrophysicist at the University of Chicago, is on the board of the Event Horizon Telescope and is the director of the South Pole Telescope, one of the eight telescopes used in the EHT collaboration. Carlstrom said that his first reaction on seeing the image of the black hole for the first time was: “Holy Smokes! It really works. “For the people who have worked in this field for decades it’s just disbelief that it is really there,” he added. Already, astronomers are gleaning information from the image. Supermassive black holes are now thought to be at the center of most galaxies and a key driver of galaxy development. But for Holz there is also something quite beautiful about these enigmatic objects.